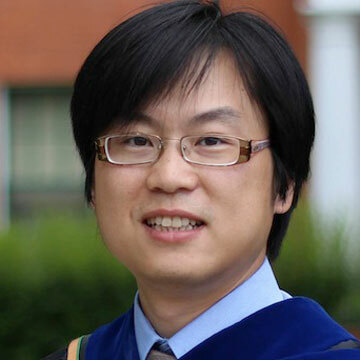 The recipient of the 2013 award for the best doctoral dissertation completed at a Canadian university in the field of Human-Computer Interaction is Dr. Xing-Dong Yang. In his dissertation, Blurring the Boundary Between Direct and Indirect Mixed Mode Input Environments, he introduces and studies how direct and indirect input modes can co-exist and improve our digital interactions. His dissertation breaks new ground by demonstrating that input methods need not be confined to only one type, but can instead be designed to cleverly shift across different modes. His work is exemplary in showing how to build and study not one, but several prototypical systems and on diverse platforms, from the desktop to wearables, which encapsulate the concepts promoted in his thesis. Through four carefully designed systems, Xing-Dong’s dissertation examines how mixed input modes can be implemented through software and hardware innovations and then leveraged for common, everyday computing tasks. In one example, the Magic Finger, he exposes the ability to turn the finger into a very precise pointer. In another example, he transforms the ubiquitous desktop mouse, known for its ability to select pixel-size objects, into an input device suitable for coarse and direct manipulation. The performance of the proposed systems was evaluated from various perspectives through a set of carefully designed user and system evaluations. Xing-Dong earned his PhD in Computer Science with a specialization in Human-Computer Interaction from the University of Alberta, where he worked under the supervision of Dr. Pierre Boulanger. He has generated a large number of publications, many in top-tier venues for HCI research, including the ACM Conference on Human Factors and Systems (ACM CHI) and the ACM Conference on User Interfaces and Technology (ACM UIST). He has over twenty publications in the fields of HCI, mobile computing, wearable technology and haptic interfaces. His work has also been recognized through best paper nominations at ACM CHI and ACM MobileHCI, featured in the public press through Discovery News, NBC, and New Scientist, and has led to five US patent applications filed between 2010 and 2013. He is currently a Postdoctoral Fellow in the iLab, at the University of Calgary, where he works with Dr. Tony Tang and Dr. Saul Greenberg. The award is determined through a juried process by a selection committee consisting of accomplished researchers in Human-Computer Interaction. This year, the jury was Dr. Roel Vertegaal (Queens University) and Dr. Ed Lank (University of Waterloo). Dr. Pourang Irani (University of Manitoba) facilitated the process.